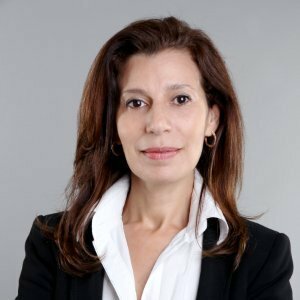 Kalthoum Bouacida has been appointed Vice President of Investment of Anges Québec Capital (AQC) . Ms. Bouacida previously held the position of investment manager starting in March 2015. In this new role, Bouacida will support the growth of portfolio companies and supervise the preparation of investments. Prior to joining AQC in 2015, Bouacida participated in a number of European Investment Bank venture capital and development funds. She also launched a Tunisian technology fund. AQC was created in 2012 to invest alongside members of Anges Québec, a Montréal-based angel network. Its fund was recapitalized in 2015. Anges Québec Capital supports angels who invest in innovative Quebec businesses in the startup phase. Sponsored mainly by the Government of Quebec, Caisse de dépôt et placement du Québec, and Fonds de solidarité FTQ, the fund is set up to invest alongside the members of Anges Québec. The joint efforts by the angels and fund sponsors result in $125 million made available to entrepreneurs, allowing them to benefit from more substantial financial leverage in order to considerably grow their businesses. According to the press release, François Gilbert, President and CEO of Anges Québec and President of Anges Québec Capital, this appointment is a prime example of the kind of succession the organization encourages. “We appointed Kalthoum because of her wealth of experience and commitment. I am confident her professional background and team spirit will be a great asset to all our sponsors and entrepreneurs,” said Gilbert. The position was previously held by Pierre Chadi, who will main an integral part of the Anges Québec network. Ms. Bouciada will continue Mr. Chadi’s work as she takes over the position.